Hello everybody! Hallo, ihr Lieben! I'm currently out-of-town, but before I left I scheduled this moodboard for today. Can't have a Monday without a moodboard :) Do you recognize the colour? 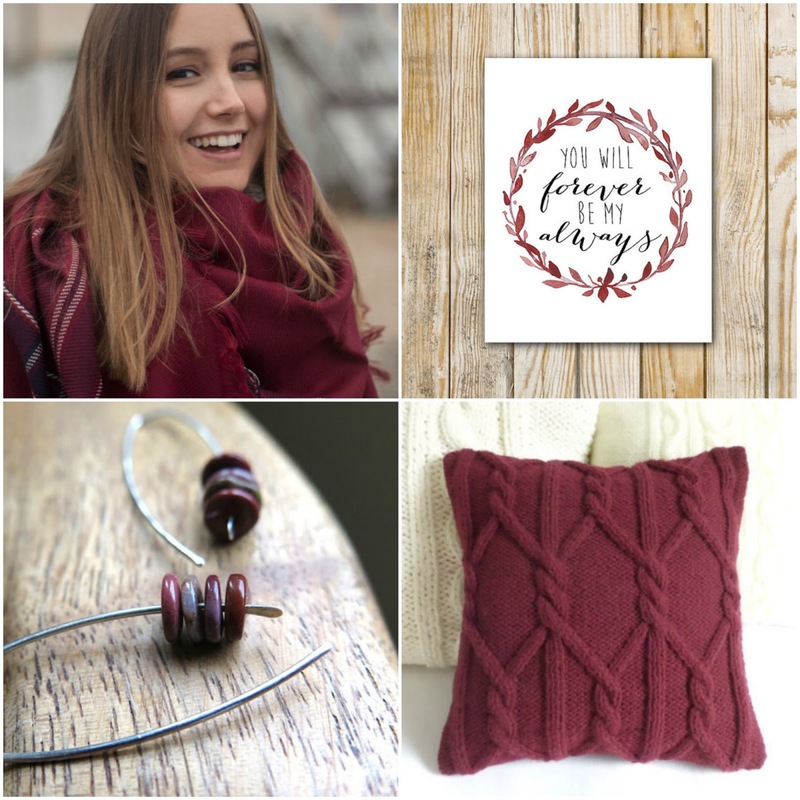 It's Marsala, Pantone's colour of the year 2015! Hope you all have a wonderful week! Ich bin momentan verreist. Trotzdem wollte ich Euch meine MontagsCollage nicht vorenthalten :) Diese hier hatte ich schon letzte Woche vorbereitet. Erkennt Ihr die Farbe? Sie nennt sich Marsala und ist Farbe des Jahres 2015 (Pantone). Ich wünsche Euch eine schöne und glückliche Woche! Goodmorning! Wishing you a lovely week ahead. ein schönes Rot, finde ich. Für mich gehört diese Farbe aber eher in den Herbst - ich persönlich mag es ja im Frühling / Sommer pastelliger. das ist wider ein zaunerhaftes Moodboard. Ich mag die Farbe "Marsala" sehr. Deine Inspirationen gefallen mir alle sehr gut. P.S. Ich hoffe, Du hattest gestern auch Sonnenschein. That's a great scarf! I have one that's similar, but it's a lighter weight and not as good for wearing now when it's cold. Marsala ist eine traumhaft Farbe! I love that color! Hope all is well with you. You've been in my thoughts! Seriously gorgeous!!! How are you? I'm praying that everything ok with you or your family!!! Love you girl! It's just a magnificent color! I'm really loving this color! I've been seeing lots of marsala around lately. It is such a beautiful color tone. That pillow looks so cozy to hug on the sofa. I love the scarf. I hope you're having a great trip!